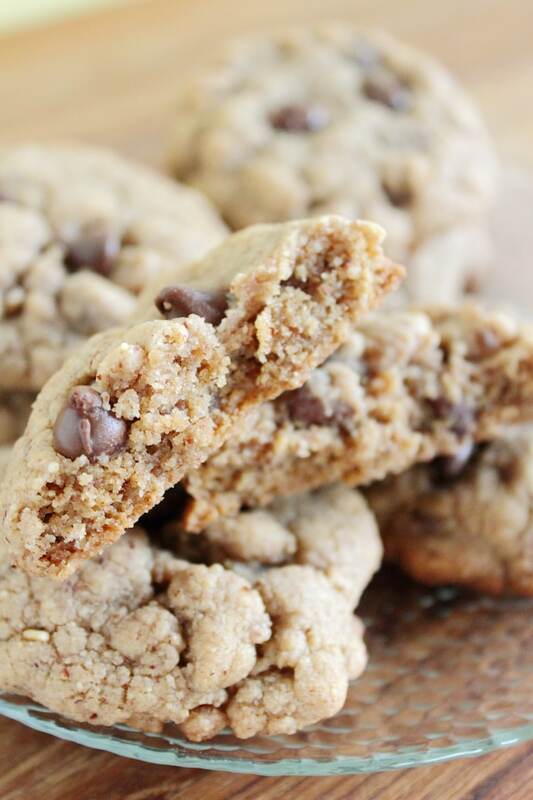 This almond butter cookie recipe will make your mouth water! 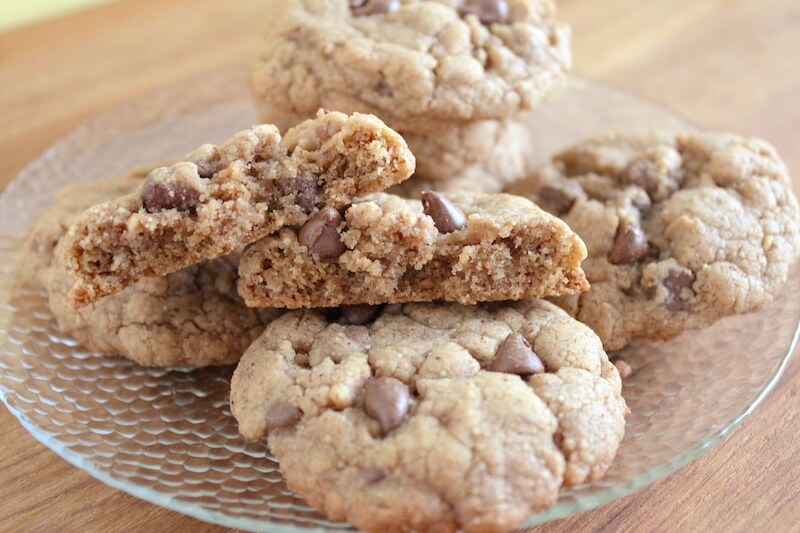 You can serve me all the elaborate desserts in the book, but at the end of the day, I really just want a simple cookie. I’m being honest and I know who I am. LOL! That has to count for something, right? The ingredients are simple and the tastes aren’t very complex, but everyone at the table will be begging for seconds and thirds. 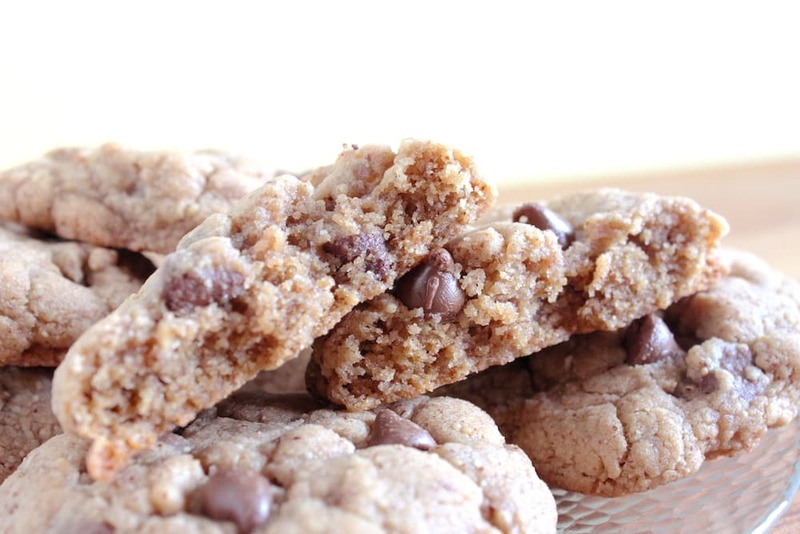 Make sure you have a tall glass of milk to accompany these almond butter cookies. Here’s what you need to get started with this recipe. 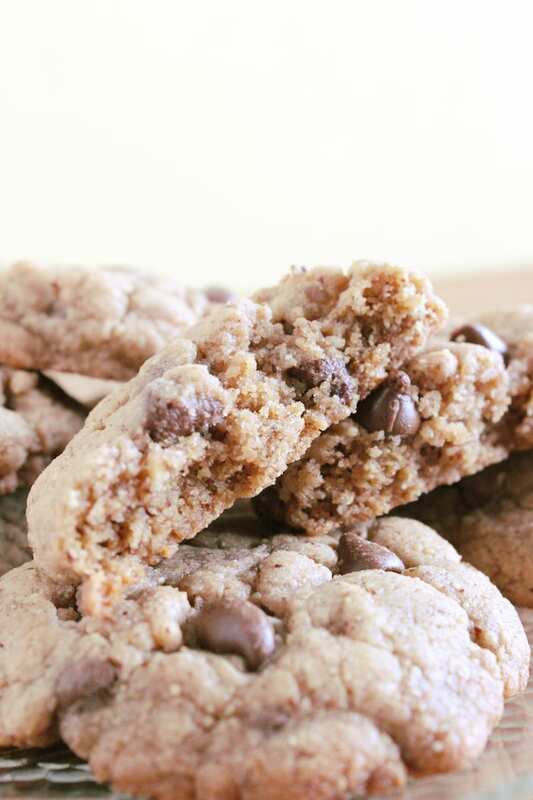 It pretty much falls in line with your typical cookie, but we are going to use almond butter and brown sugar instead of white sugar and regular flour. In a large bowl mix together the Almond Butter, Butter and Brown sugar until sugar is smooth. Add the Egg and Vanilla, mix to combine thoroughly. Add the Flour mixture to the butter mixture and mix until the flour is incorporated. Add the Chocolate Chips and mix to combine. It may be a little granulated which is acceptable as long as it will stick together when pressed. Using a 1 Tbsp. scoop a heaping spoonful of dough. 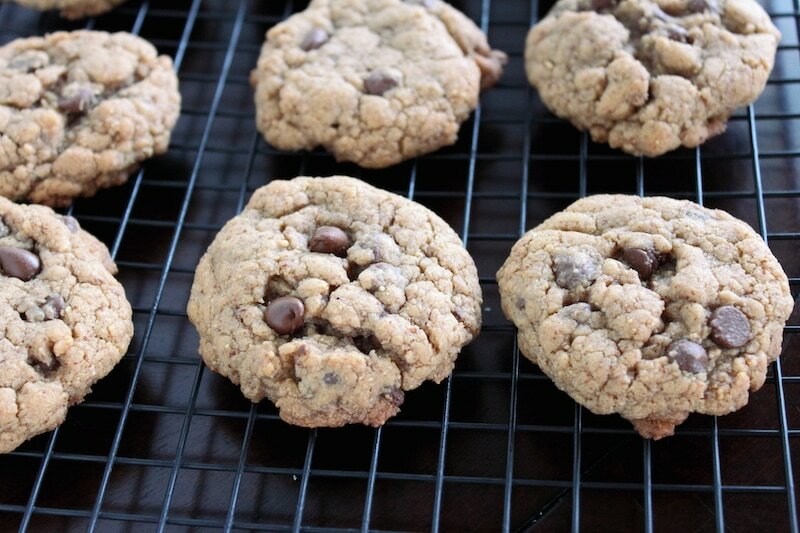 Form into a ball and place on a cookie sheet. Press Flat. If crumbly just reform into a circular shape with your fingers. 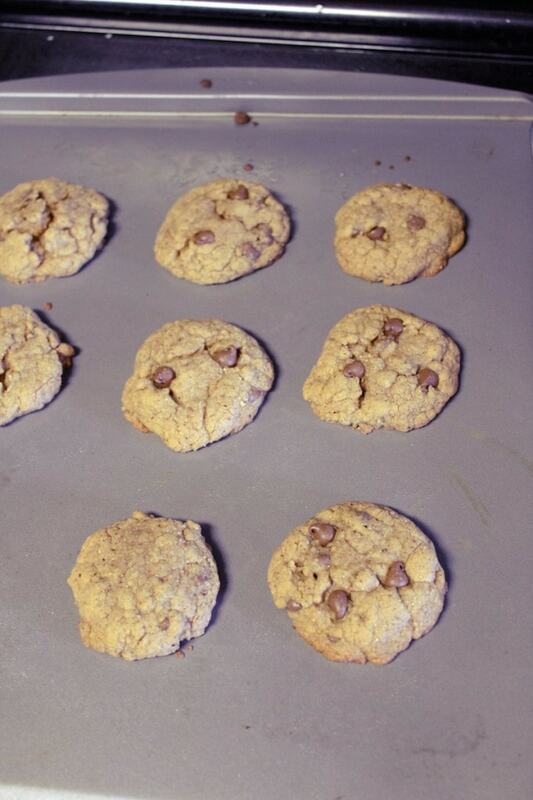 Bake at 350˚ until just brown on the bottom edges, 9-12 minutes. In a large bowl mix together the Almond Butter, Butter, and Brown sugar until sugar is smooth.